The Greek Orthodox Archdiocese of America produces three fantastic series that offer the Orthodox Christian perspective in though provoking and interesting ways. Brief and entertaining explanations on a variety of topics. 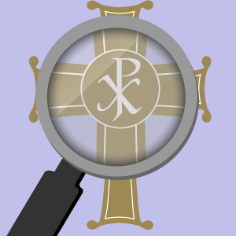 Dives into the epistle and gospel readings of the upcoming Sunday, posted every Monday. A response video to the three questions posed on Monday is posted every Thursday. A series of talks, shows, and presentations designed to introduce and explain the basic teaching of Orthodox Christianity in simple, easy to understand terms.